REMINDER: School zones will be operational again from Monday, 30 January 2017. 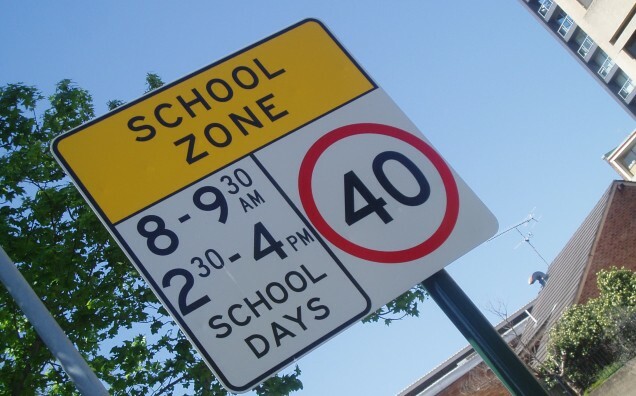 40km/h school zones help protect children on their way to and from schools at the times and places where they are often in high numbers. School zone signs, pedestrian crossings and dragon’s teeth road markings improve the visibility of school zones.